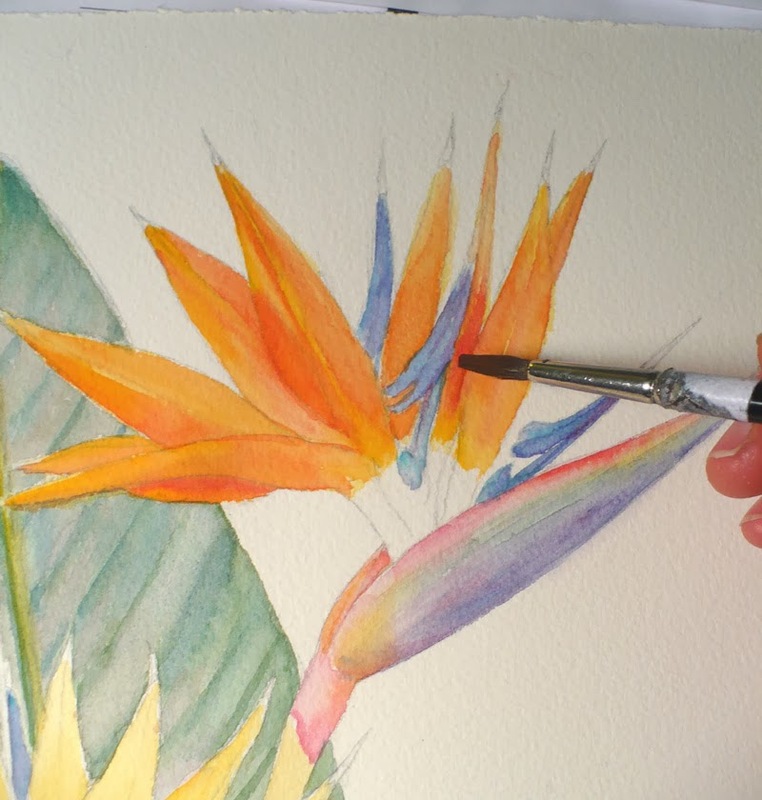 This painting of Bird of Paradise is a commission for clients who live in Thailand. I wish I could grow this plant in my garden, but unfortunately, it's much too cold where I live. 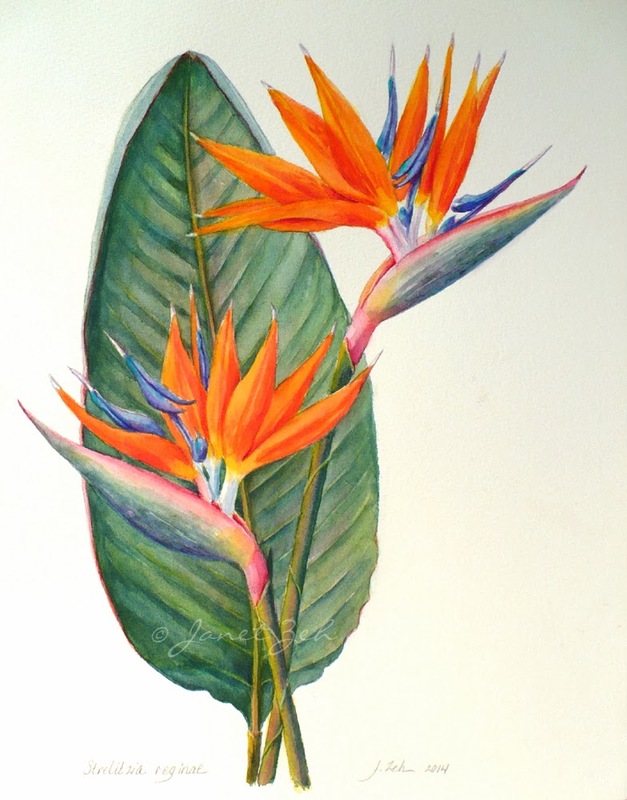 The flowers bear a resemblance to tropical birds with their beak-like bracts from which bright orange sepals and blue petals emerge. 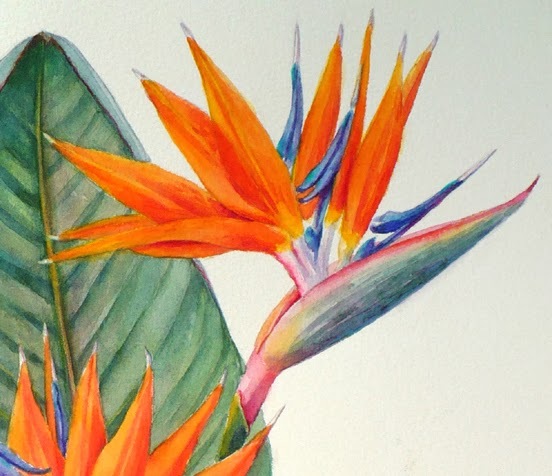 They are pollinated by birds, especially sunbirds (which are similar to hummingbirds). The leaves look like banana leaves. All in all, they are a very interesting and brightly pretty flower! 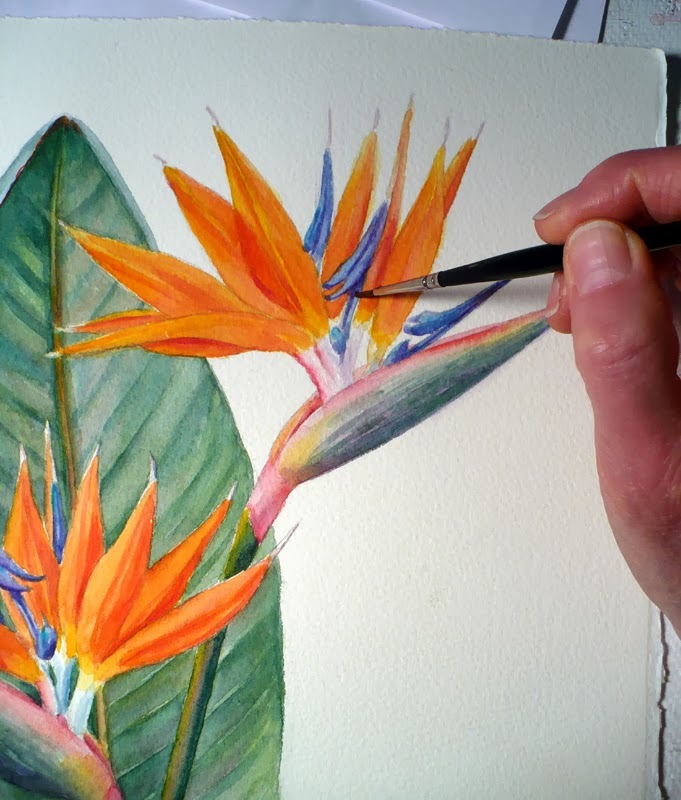 To see how I paint a detailed illustration of Strelitzia reginae (the botanical name), read on. 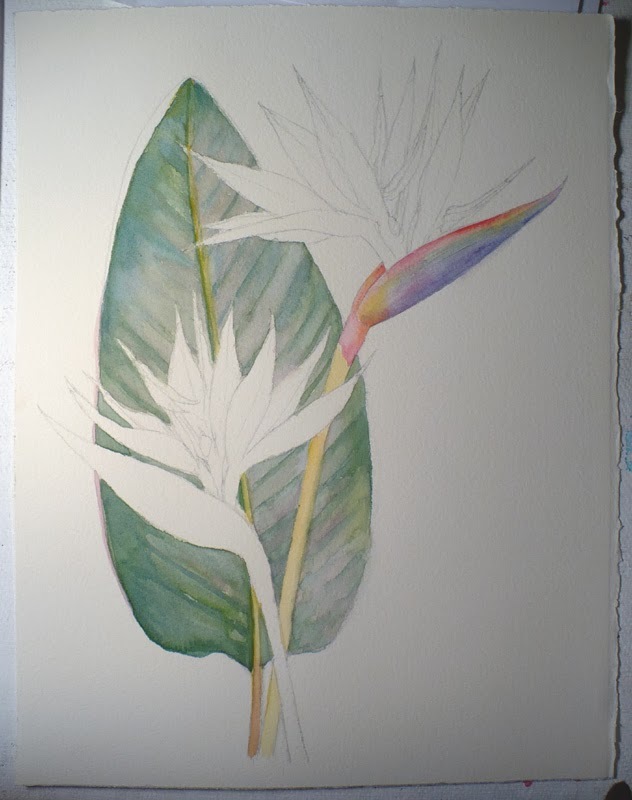 Or skip to the finished painting. 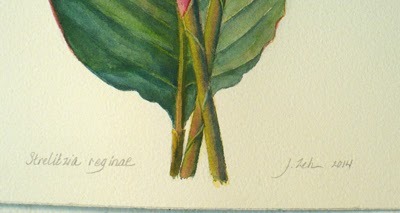 The first thing I need to do is familiarize myself with the structure of the flowers. 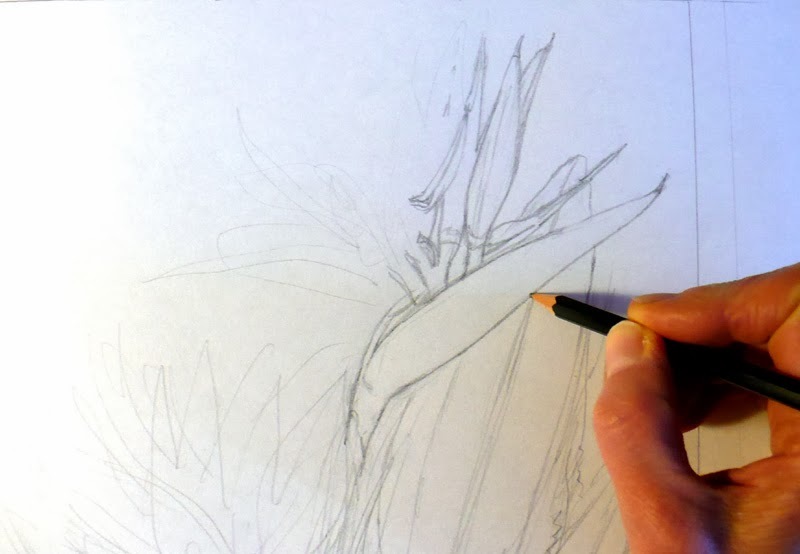 So I take time to read whatever I can and look carefully at illustrations that might help. This way, I will be less likely to miss important details. 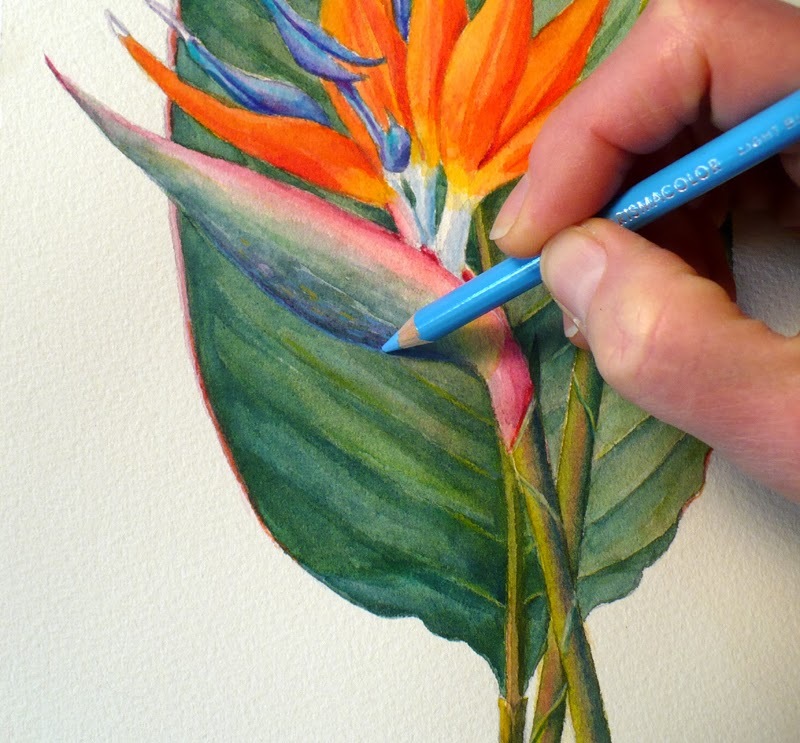 I hope you enjoyed the demo of this bright and lovely flower! Wonderful demo! i think that plant is amazing and i call it a rainbow plant because i see every color there! thank you for sharing your art! Glad you like the demo Sonja. I can see why you call them rainbow plants. They are full of color!